WAILUKU — A man has been found guilty of assaulting another man, who testified he had to hold his broken jaw in place after being punched and kicked in the head outside a Kihei bar last year. In a verdict Friday, a 2nd Circuit Court jury convicted Paula Siosi Ngalu Jr. of a lesser charge of second-degree assault. Ngalu, 22, of Kihei, originally was charged with first-degree assault for participating in the attack in the early-morning hours of Jan. 27, 2018, outside Lava Rock Bar & Grill in Kihei Kalama Village. During the trial last week, 24-year-old Makoanui Anzai testified he went to the bar with three friends at about 11:30 p.m. Jan. 26, 2018. He said he was alone upstairs by the elevator when he was approached by a man who came face to face with him. The man was aggressive, appeared to want to fight and “insisted that I was disrespecting his girlfriend,” Anzai said. “I didn’t know him or his girlfriend,” Anzai said. He later identified the man as Ngalu, who was escorted out of the bar by a bouncer. Anzai said he didn’t want to fight Ngalu and offered to shake Ngalu’s hand. “He just stared at me,” Anzai said. He was walking away into the parking lot toward his friend’s car when “I got hit from behind,” Anzai said. He said he heard someone say, “Fou, what are you doing?” in an apparent reference to co-defendant Foukimoana Finau, who also is charged in the assault. “And then I tried to turn and I got hit another time,” Anzai said. He said he heard a crack and thought his jaw was broken. “It felt like I was going to die,” he said. Anzai identified Ngalu as the one who delivered the second blow. Anzai said he held his jaw with one hand “’cause it was hanging” and was stumbling to the ground when he was kicked on his head. He said all of the blows were to his face. A friend took Anzai to Maui Memorial Medical Center, and he was medevaced that night to Queen’s Medical Center on Oahu for surgery. His jaw was wired shut for about three months, Anzai said, and he lost about 60 pounds on a liquid diet. He said he still suffers from loss of taste, permanent nerve damage to his jaw, migraines and discomfort in his jaw. Dr. Miroslaw Szatko, who treated Anzai at the hospital emergency room, said the patient had multiple fractures in his jaw and had to be flown to the Oahu hospital because of the “pretty high” chance of infection from the open fracture with a bone sticking out. Testifying in his defense, Ngalu said he stopped at the elevator to ask Anzai “what was his problem” that night because he had been staring at Ngalu and his fiancee, making them uncomfortable. After Ngalu and his fiancee left the bar, they were sitting on the bed of a pickup truck in the parking lot talking with friends when Anzai was leaving the bar and again staring at them, Ngalu said. He said he and Anzai exchanged words. Then Anzai “turned to hit me and I hit him back,” Ngalu said. “Then Fou hit him again, and that’s when he fell,” Ngalu said. He said his fiancee was pulling him back, saying she had been hit by someone else. “We turned around and walked away,” Ngalu said. Under cross-examination by Deputy Prosecutor Annalisa Bernard Lee, Ngalu acknowledged that he could have left but stood up and approached Anzai in the parking lot. “So you’re starting this, right?” Bernard Lee asked Ngalu. Ngalu acknowledged telling detectives that after he punched Anzai, he dropped to the ground. Bernard Lee asked if Finau had hit Anzai for Ngalu. “I have no idea why he did that,” Ngalu said. Ngalu said he recognized Anzai as someone who had bumped into Ngalu’s fiancee at Ngalu’s brother’s graduation. 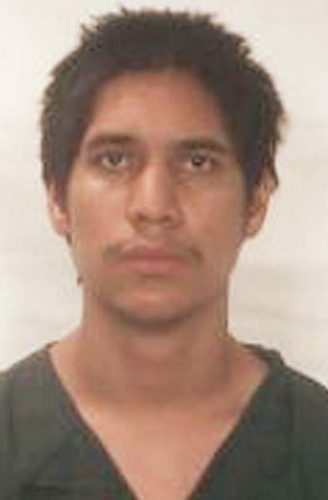 Speaking after the verdict was announced, defense attorney Gustavo Gonzalez said he didn’t think the one hit by Ngalu to the top side of Anzai’s head was enough to cause substantial injury to Anzai. Ngalu, who has been free after posting $11,000 bail, is set to be sentenced July 5. Judge Rhonda Loo presided over the trial. A case is pending against Finau, 22, who is also known as Fou Finau and Sione Peuaope Finau.